If you know me, you know that my interest in home improvement never wanes. 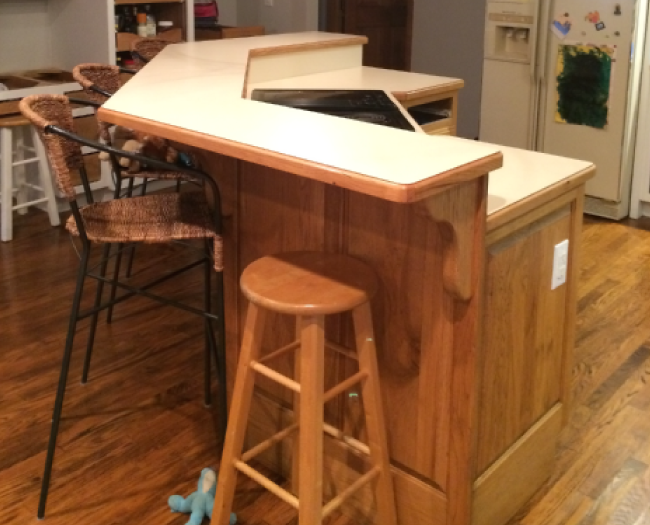 Two years ago I decided I couldn’t live with my kitchen island another day. I had already tiled my backsplash (seafoam penny tile), replaced my countertops (Hyde Park quartz), purchased new appliances, removed wall paper and painted walls (Abelone by Benjamin Moore), and painted my kitchen cabinets (endless coats of Simply White Aura paint by Benjamin Moore). All of these stories for another day. Now was time to tackle this horrible kitchen island. It was a two-level hexagonal Formica topped atrocity. I thought I would be able to save the base but after shopping, discussion and design I decided I had to scrap it and start over. I had recently been working with SIOSI DESIGN + BUILD on another project and thought they would be the ideal craftsman for the job. 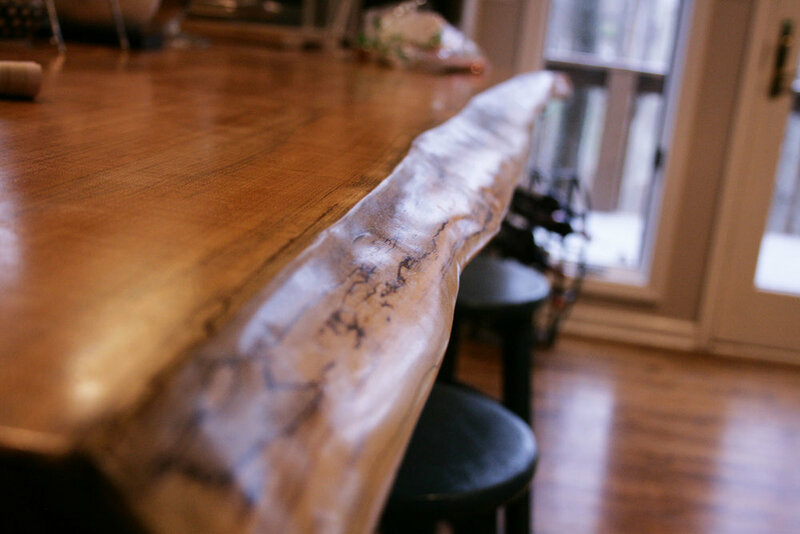 After much consult Audim, Ivy, my hubs and I were able to collaborate on a one of a kind design using a live edge Maple slab and an Ash base. Ivy doing some mad calculations to figure how to make all the pieces fit. Audim and Ivy were super fun to work with. They talked us through endless options and multiple iterations of design and listened to each and every suggestion my hubs and I had to offer. Ivy cutting a hole in the slab to fit in my Thermador cooktop and retractable exhaust fan. The finished product, next step was painting my barstools a deep aqua blue and installing a new light fixture over the island.